Vision Movies is helping with the launch of a new product - Time Eraser by Eterno. We're is creating a unique campaign to be launched on product's website and be promoted all over social media platform. 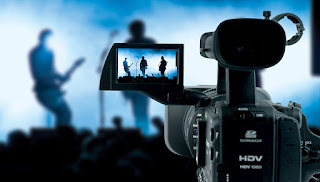 We're targeting the right audience and the video will generate a huge amount of leads the company can follow up on. 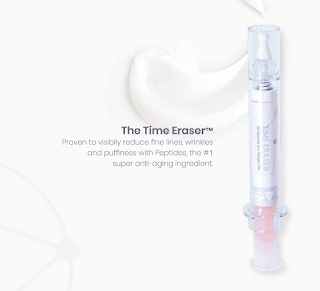 Whether you are looking to minimize the signs of aging or slow it’s inevitable presence, Eterno, that has a ground breaking solution with their NASA LED Light Therapy, stem cells from various plants, proven effective peptides, is now introducing a new Anti-Aging product: Time Eraser. Eterno has done amazing research resulting in visible results in 4 weeks and a 30% reduction in wrinkles in 7 weeks. We all want to look our best and Eterno has a great affordable options to achieve that goal. You can get great results in a short amount of time and save hundreds of dollars that would be normally spent at med spas. I remember my mother yelling at me when I was only five years old for sitting too close to the television screen. I could sit and watch it for hours and hours. It didn’t matter whether it was a film, TV show, game show, adults programming, or commercials and advertising. I loved watching the stories, the people, and the places that appeared on the screen, quenching my mind as I got closer and closer to the box. I always loved the medium of television and cinema. Growing up in Israel in the 70’s, we didn’t have many options, but whatever was on TV was my favorite. When I was seventeen, I had the opportunity to meet a producer that specializes in TV commercials. After a short conversation, I was offered a production assistant position in his company. Two weeks later, I left my family and friends in the small town I lived in, and moved to Tel-Aviv – the big film-making industry city of Israel. In the 19th century, some of the biggest inventions were electricity, phone, airplane travel and more. All of these allowed humanity to evolve and function better. For the first time, communications between different places around the world became easier. Messages were delivered within minutes or days, compared to weeks or months previously. Radio, photos and film were the most reliable sources for news and information. Later, television brought developed and scripted entertainment programming into the living rooms, in addition to news. The 20th and 21st centuries are known to be the periods in which the most advanced technological improvements were developed, and which evolved in the shortest time. But the biggest changes came with the computer, the Internet, and the public use of both. The accessibility and affordability of these technologies have thoroughly changed the game. People all over the world have an instant connection to explore, share, watch, comment, create and shop. As a part of giving back to the community, Vision’s goal is to help and serve non-profits around South Florida. Vision is creating brand awareness along with a marketing campaign for Prestige Club – a non-profit organization that helps children and families in need. Raising a child with autism, cancer, a debilitating or terminal disease is difficult for caregivers and family as well as the child. Between hospitals, special schools, and home care, the families are experiencing a rough time: parents have to dedicate more time, and siblings may feel deprived while attention is given to the child in need of care. One of the fantastic programs Prestige has put together is “Prestige Club Adventures.” In this monthly program, a full day of activity is planned for the families: a visit to a museum, pizza day, a day in the park, and much more. Today, if you don’t have a video, you’re behind your competition. But if you didn’t get your viewers attention in the first 5 seconds, you lost a sale. Vision is proud to introduce its new feature: Take-Action Video Campaign. Now, not only we create beautiful videos, we actually make them work for our clients. 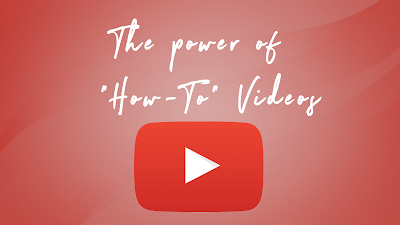 Take-Action videos are the ones that viewers see and react to: Liking your page on Facebook; Clicking on a link that leads to a landing page; or even clicking and buying directly from you. And this is where Vision's creativity comes to play. After testing multiple channels, we created this powerful tool. We’re making sure thousands of local, potential clients see the video, interact, and guarantee lead-generation results. Vision Film and Television Production is proud to present its new video campaign for HomeDepot point-of-sale and online store throughout the states: The future of carpet installation Gripper edge. Vision has released "Gripper Edge" video as a sensational phenomenon about the future of carpet installation tool. Vision - Film and Television Production is proud to present another awesome video for Cabanas - Guesthouse and Spa in Fort Lauderdale - the must visit destination for gays.